Our church building has a fascinating history! 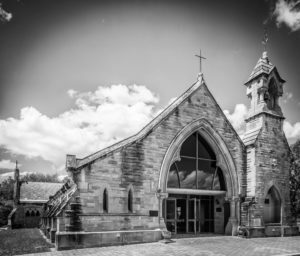 As part of the annual Canberra and Region Heritage Festival, we are hosting a talk, featuring talented storyteller Margaret McElhinny, about the All Saints church building. It began life as the mortuary railroad station at Rookwood Cemetery…but how did it get to Ainslie? Come and find out! Entry by gold coin donation.